Sedef Yavuzalp came under fire after pictures circulated on social media of her attending Monday’s Republic Day event wearing an outfit imitating Greek mythological figure Helen of Troy. Another embassy official also donned fancy dress, which many said was intended to be the Greek god Zeus. 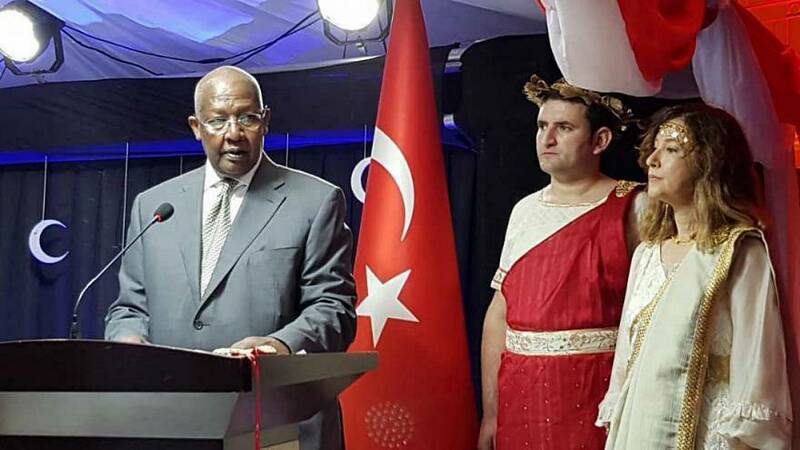 Social media users criticised Yavuzalp for wearing the outfit on a day organised to commemorate Turkey, while some argued that it was always inappropriate for a diplomat to don fancy dress. “What’s the world coming to! Look at this ambassador and the diplomat…. What a strange situation is this at the National Independence Day of our Republic. Is this your sense of belonging to your country and your values?” one person tweeted. “What kind of a Turkish ambassador is this? The ambassador is Helen of Troy, and the diplomat is Zeus,” another said. Turkish Foreign Minister Mevlut Cavusoglu announced on Twitter on Saturday that the ambassador had been recalled and that an investigation into the incident was underway. Opposition politician Ümit Özdağ called for the investigation into the ambassador to determine whether she was “able-minded”. But why did she wear the outfit? Yavuzalp dedicated much of her speech at the event to promoting the 2018 "Year of Troy", according to a copy of the text seen by Euronews. In it, she states that the National Day is being celebrated during “Year of Troy”, which marks the 20th anniversary of the archaeological site’s addition to the World Heritage List, and links this to the development of modern-day Turkey. “As you all know, the Epic of Troy — The Iliad and the Odyssey, which form the basis of Western civilization, has inspired great leaders who have shaped the world and changed the course of history”, she said. “The 4,000-year-old Troia Epic is one of the most ancient values of our homeland, Anatolia. What makes this a very unique and universal value is the fact that it is the unification of war and struggle, of peace and tolerance at the same time."